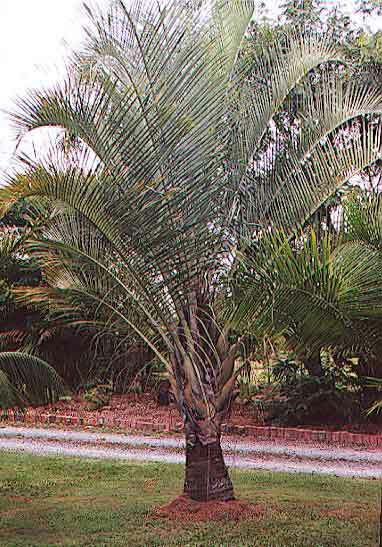 Description: A very striking palm with the leaves arising from three distinct points around the trunk. Leaves are blue/grey in colour, pinnate with a brown petiole covered in a whitish bloom. Prefers full sun and regular watering but is quite drought resistant and a fast grower. Suitable for patios and verandahs.